In order to help your stainless steel cookware last, there are a few facts we should pay attention while maintaining a good care for stainless steel cookware. See more about how to clean the stainless steel pans and how to clean fingerprints from refrigerator for the best way to keep your kitchen cleaning. 1. 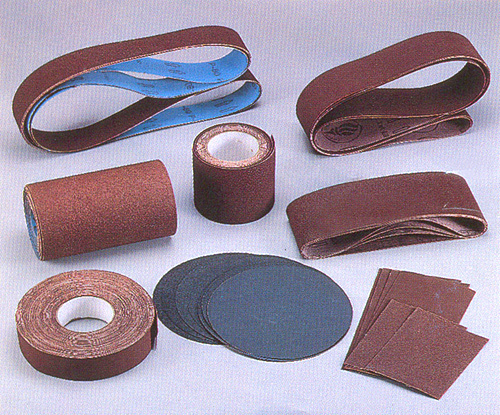 Avoid using abrasive cleaners. 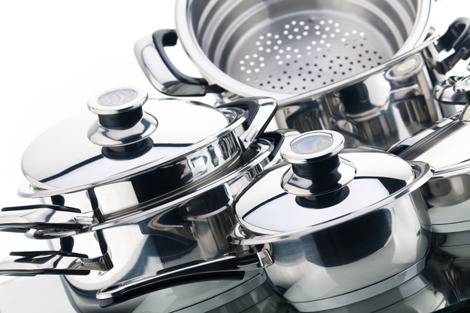 Abrasive cleaners can damage your stainless steel cookware. They can cause scratching. Some stainless steel surface might not show the scratches as clearly as others depending on the finishing surface of your stainless steel cookware. Always to start cleaning your pots and pans with just water, dish wash soap, baking soda, and/or Bar Keepers Friend before using any other type of cleaners. 2. Always rinse the pots and pans after each wash.
Rinse your cookware thoroughly with hot water after cleaning. Unclean water can leave a residue on the cookware surface. It can also stain or pit the surface of the stainless steel. Likewise, residue from soap and/or any type of cleansers left on your cookware can stain or damage its surface. Rinsing is an essential step in cleaning stainless steel. 3. 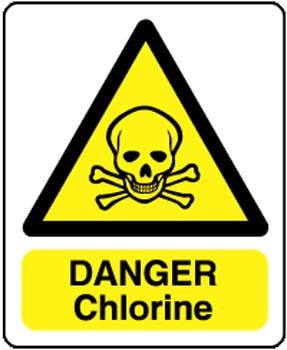 Avoid using cleaners containing chlorine. Chlorine can cause damages to stainless steel. It can destroy the protective layer of passivation that protects stainless steel and leave stains on the cookware which diminishes its beauty. Keep in mind that chlorine can be included in different types of cleaners. If by coincidence chlorine contained cleaner be used on your stainless steel cookware, you'll need to wash it off immediately. 4. Avoid putting salt directly to the surface of the pots or pans when cooking. Salt, also known as table salt, or rock salt, is a crystalline mineral that is composed primarily of sodium chloride, thus it can leave stains and damage your cookware. 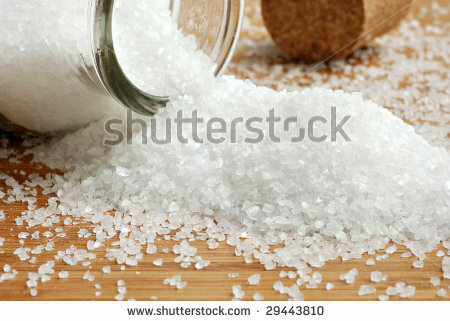 Always add salt after the food has started to cook or bring the liquid to boiling before adding salt and stir well. 5. 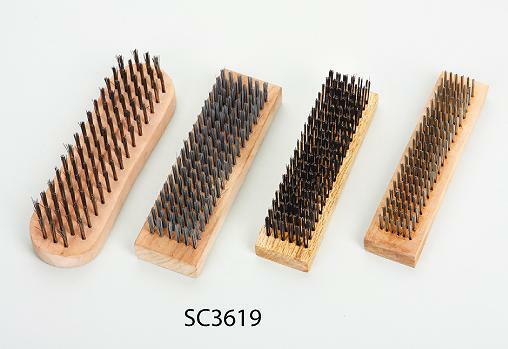 Do not use steel wool or steel brushes when cleaning. Steel wool and steel brushes leave tiny particles on the surface of the stainless steel. Eventually, these bits of particles begin corroding and staining the cookware surface. They also can scratch the cookware surface as well. Avoid using the steel wool and/or steel brushes on stainless steel. 6. Cause of stains might not be the result of using a specific cleaner. If your pots and pans have some spots or stains despite following all the tips to care for your stainless steel cookware, the stains might not be caused by cleaner. Water can leave spotting and staining on stainless steel surface. Use paper towel or washcloth to dry the pots and pans completely after rinsing can resolve this problem. 7. Avoid overheating to stainless steel cockware. Overheating stainless steel cookware might cause brown stains on its surface. Also, burnt food, if not removed, will cause discoloration when the pot or pan is reheated. 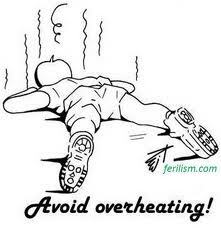 To avoid discoloration of the cookware, maintain a medium-low heating when cooking. Follow all the rules and tips to use and care for stainless steel cookware, your cookware should expect to last for a lifetime.